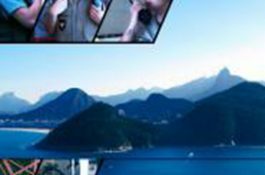 SIRCE, Rio de Janeiro state’s integrated radio critical communication system, will play a vital role in communications at the Rio Olympics, supporting more than 18,000 police radios. SIRCE, provided by Teltronic, is part of the Sepura group. Base stations with up to 12 TETRA transceivers will support high traffic loads throughout the event; a CeCoCo Control Centre will support over 100 dispatch operators; and Teltronic’s Synchronous Data Manager application will pare down the GPS refresh time in AVL applications. “Rio de Janeiro now has one of the most modern and intelligent integrated critical communications systems in the world, enabling uninterrupted contact in case of emergency,” said Security Secretary Jose Mariano Beltrame.